The use of technology in the humanitarian aid sector is showing a steady increase based on a sense of hope that technology could help to improve the delivery of aid and solve multiple systemic problems. Technological solutions alone, however, cannot properly address such complex problems. This blog engages in an ongoing debate among development scholars on some of the hopes and concerns related to the use of digital and web-based technology in this sector. The main conclusion: we need more case research on the use of technology and, in the meantime, careful use of technology is invited. Long-term research on the topic by Dr. Kristin Bergtora Sandvik, Dr. Katja Lindskov Jacobsen, and Sean Martin McDonald, from the Peace Research Institute Oslo (PRIO), reminds us of how technology shapes humanitarian action; they also write in a blog post that technology is implemented in the humanitarian sector without adequate legal, ethical and methodological frameworks. Another warning comes from Dr. Emre Eren Korkmaz, post-doctoral researcher at the University of Oxford, in a recent blog post shows how use of blockchain technologies[i] by aid agencies to support people in need, especially refugees, is embraced with great hopes, but also brings along deep concerns. He highlights the complexity of certain socio-environmental problems that are unlikely to be sufficiently addressed by technological solutions alone. Sandvik, Jacobson and Korkmaz, in deepening the debate, then call for more research on specific cases of the applications of digital and web-based technology in the humanitarian aid sector. Satellite images are being used for data collection and project monitoring with the hope that this technology will obtain more accurate information, more quickly. Iris and fingerprint scanning for the registration of the recipients of aid bring the hope of reducing duplications on the delivery of aid and more focused assistance. The use of Skype, email and cloud systems are essential for the day-to-day management of humanitarian aid, but the hope remains that they will also improve the coordination of disaster responses and humanitarian aid provision within and among organisations and agencies. Technology, it is said, will also reduce excessive bureaucratic bottlenecks and could provide a solution to problems of access and increased insecurity in the field. The use of digital payment systems, e-transfers or “mobile money” revolutionised the ways of delivering economic aid, promising more flexible, faster and safer economic assistance as compared to moving and distributing cash. Finally, there is hope that the use of technology will help to avoid problems of corruption, power struggles or inequality. It is believed that using technology is politically neutral, but this belief has proven to, in fact, be far from reality. A panacea for deeper problems? Despite the benefits that these technologies can bring, they cannot be used naïvely, as the use of any technology (and the use of the information obtained along with it) involves multiple political and social variables. New technologies interplay with the realities of the places where they are implemented, and in places requiring humanitarian aid, with the existing and emerging needs of people. We must question how these technologies interact with the inequalities of these places or their political regimes. As Korkmaz warns in his blog, there is also risk of abuse —institutions can use digital identities ‘to track people’s choices and desires’, which could lead to increased surveillance and the use of information against refugees. Technology is also subject to instrumentalisation and can be used for purposes quite the opposite of those humanitarian purposes it is intended to serve. The way in which information is collected, analysed and presented, can also be motivated by other non-humanitarian objectives. In other words, the use of technology is never politically neutral— it affects and is affected by actors and processes, in ways not always fully understood. Reflecting on this is as important as thinking about the benefits of using new data-collection technologies. And we must also identify when, how and which technology to use. As the discussion on the need for awareness about the use of technology is already ongoing, it is important to start gathering information on specific cases showing how, which technology is used in reality. Afghanistan presents a good case for examining the application of aid technology, as its use has increased here over the last decade4–6. The ongoing research I am carrying out as a Visiting Scholar at AREU about the (political) use and the introduction of data-collection technology in Afghanistan seeks to map this technology, reflect on who uses it and who can get access to the collected information, and identify how and for which purposes it is being used. The research importantly also asks: does technology really fulfil the promises it carries? The promotion of technology is still alive in Afghanistan and globally, as multiple new forms of technology are being implemented by the humanitarian sector, like the use of bitcoin or block-chain technology9,10. However, the applicants of technology in the humanitarian sector should not be blind to its potential negative effects. Technology can be tremendously helpful, but must also pass the ‘do no harm’ test11,12 and should be applied in a reflective manner. In the meantime, thoughtful use of technology and more research on the topic are invited. Rodrigo (Rod) Mena is a visiting scholar at AREU and socio-environmental AiO-PhD researcher at the International Institute of Social Studies of the Erasmus University Rotterdam in the Netherlands. His current research project focuses on disaster response and humanitarian aid in complex and high-intensity conflict-affected scenarios. Stephenson, R. and P.S. Anderson (1997) ‘Disasters and the information technology revolution’, Disasters 21, 305–334. Sandvik, K. B., M. Gabrielsen Jumbert, J. Karlsrud and M. Kaufmann (2014) ‘Humanitarian technology: a critical research agenda’, Int. Rev. Red Cross 96, 219–242. Harvard Humanitarian Initiative (2011) ‘Disaster Relief 2.0: The Future of Information Sharing in Humanitarian Emergencies‘. UN Foundation & Vodafone Foundation Technology Partnership. 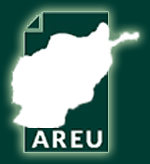 IRIN (2013) ‘Innovative ICT helps aid workers in Afghanistan’. Available at: http://www.irinnews.org/feature/2013/05/02/innovative-ict-helps-aid-workers-afghanistan. Boone, J. US army amasses biometric data in Afghanistan. The Guardian (2010). Available at: http://www.theguardian.com/world/2010/oct/27/us-army-biometric-data-afghanistan. Zax, D. In Afghanistan, Cash Has Become The Most Effective Form Of Aid. Fast Company (2016). Available at: https://www.fastcompany.com/3065011/in-afghanistan-cash-has-become-the-most-effective-form-of-aid. Jacobsen, K. L. Experimentation in humanitarian locations: UNHCR and biometric registration of Afghan refugees. Secure. Dialogue 46, 144–164 (2015). Jacobsen, K. L. Humanitarian biometrics. In The Politics of Humanitarian Technology: Good intentions, unintended consequences and insecurity. 57–87 (Routledge Taylor & Francis Group, 2017). DH Network. Blockchain for the Humanitarian Sector: Future opportunities. Digital Humanitarian Network (2016). Available at: http://digitalhumanitarians.com/resource/blockchain-humanitarian-sector-future-opportunities. Bello Perez, Y. Can Bitcoin Make a Difference in the Global Aid Sector? CoinDesk (2015). Available at: https://www.coindesk.com/can-bitcoin-make-a-difference-in-the-global-aid-sector/. Jacobsen, K. L. Humanitarian technology: revisiting the ‘do no harm’ debate. ODI HPN (2015). Available at: https://odihpn.org/blog/humanitarian-technology-revisiting-the-%c2%91do-no-harm%c2%92-debate/. [i] Blockchain technologies refers to a distributed and decentralized database of continuously growing records of digital information, ordered, linked and secured using cryptography. [ii] The use technology in the humanitarian sector, if far from new, is a growing phenomenon since the late 20th Century1–3. The difference nowadays lies in its expansion and penetration at all levels of the humanitarian aid system. [iii] There has been an international call to innovate and introduce more technology. For instance, two reports from 2013 reinforced the use of multiple communications and data collection technologies in the humanitarian system: the World Disaster Report from the International Federation of the Red Cross and Red Crescent (IFRC), and the document Humanitarian in a Network Age from the United Nations Office for the Coordination of Humanitarian Affairs (OCHA).